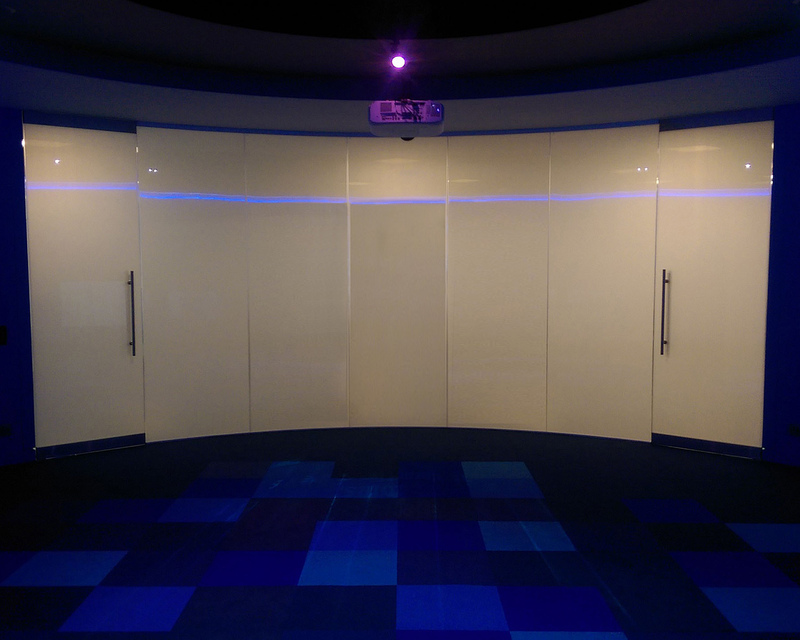 Experience Centre Switchable Glass Screen | Smartglass Intl. Working alongside one of our installation partners and an award winning experimental technology agency Smartglass were able to provide a stunning curved glass screen to compliment the already impressive client experience centre. 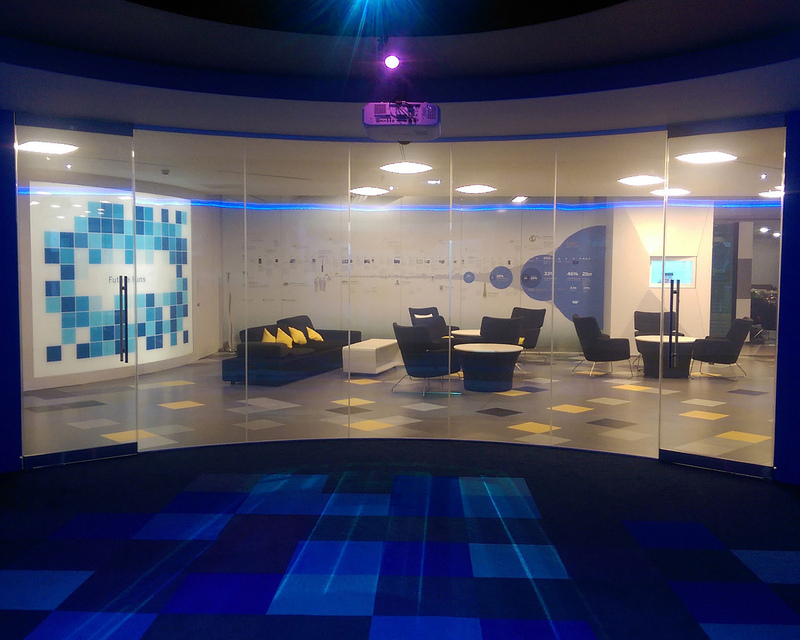 The centre provides a multi-sensory, digital and emotional experience which is interactive and personalised for the clients’ needs on their visit. Our Privacy Smartglass not only operates as both a transparent and opaque screen at the touch of a button but doubles up as a full HD projection screen to add to the clients experience when visiting the centre. SmartGlass were very friendly, professional and very accommodating to our specific, exacting requirements. We are very happy with the installation. This entry was posted in Smart Glass News and tagged Privacy Glass, smart glass, switchable glass, switchable privacy glass. Bookmark the permalink.